The holidays are synonymous with social engagements. So, like any savvy shopper, we’ve been on the hunt for the outfit that does it all – the festive cocktail party, boyfriend’s work function, after dinner drinks downtown. But holiday dressing doesn’t have to be restricted to sequins + shine. 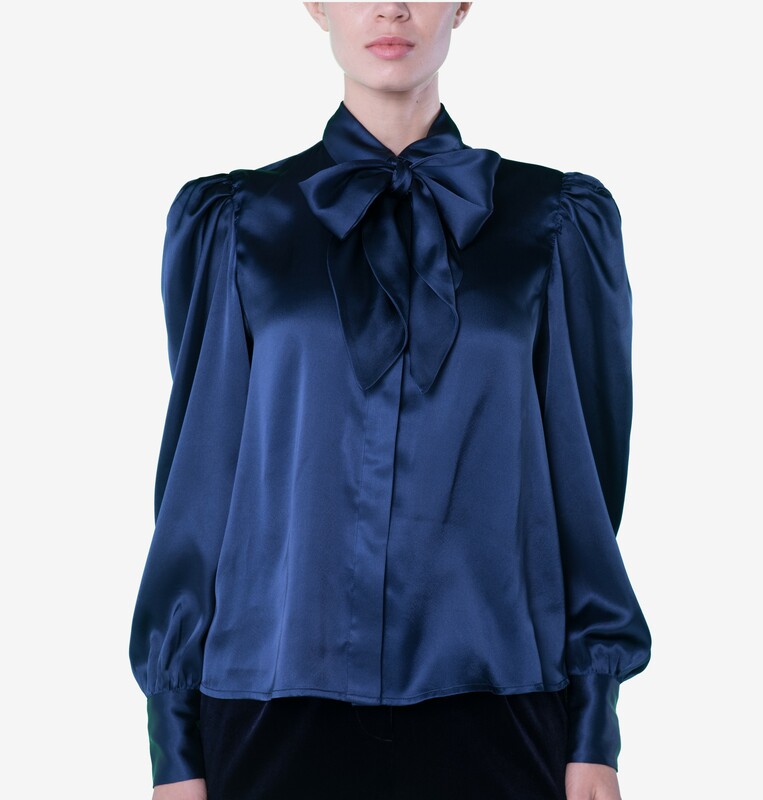 This season, in lieu of the LBD, we’re trading in minis for the tie-neck blouse. We know what you’re thinking. 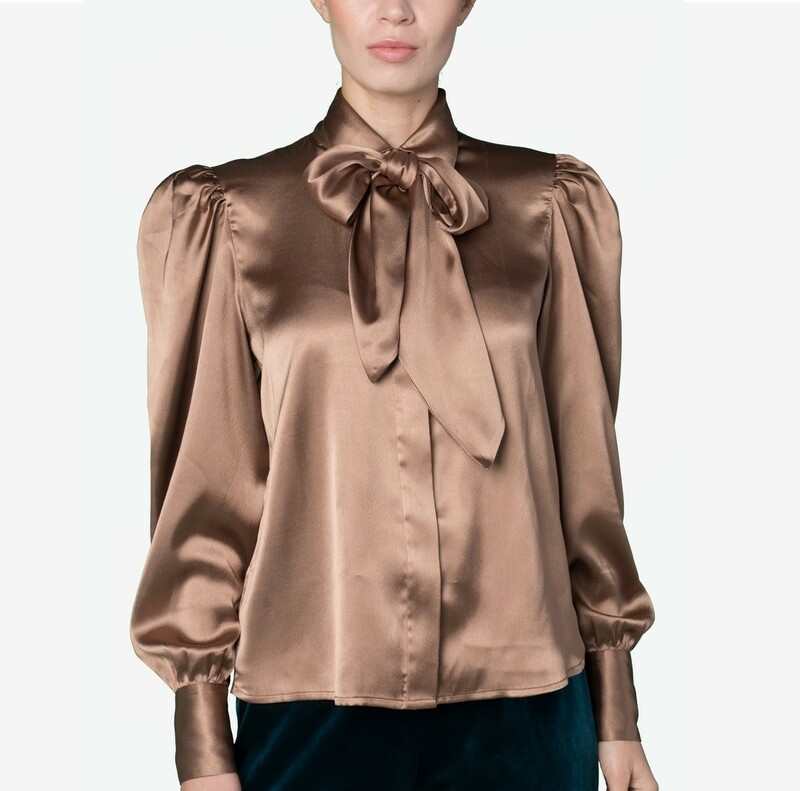 A long-sleeve blouse? With buttons? And a bow? Lucky for you, our latest collab with style maven, super-influencer, and all-around cool girl Brittany Xavier, has a new twist on the tie-neck silhouette. With four newly launched options, meet your wardrobe’s latest day-to-night essential. There are two georgette numbers in jet black + off-white and then their satin sisters in midnight navy + bronze. 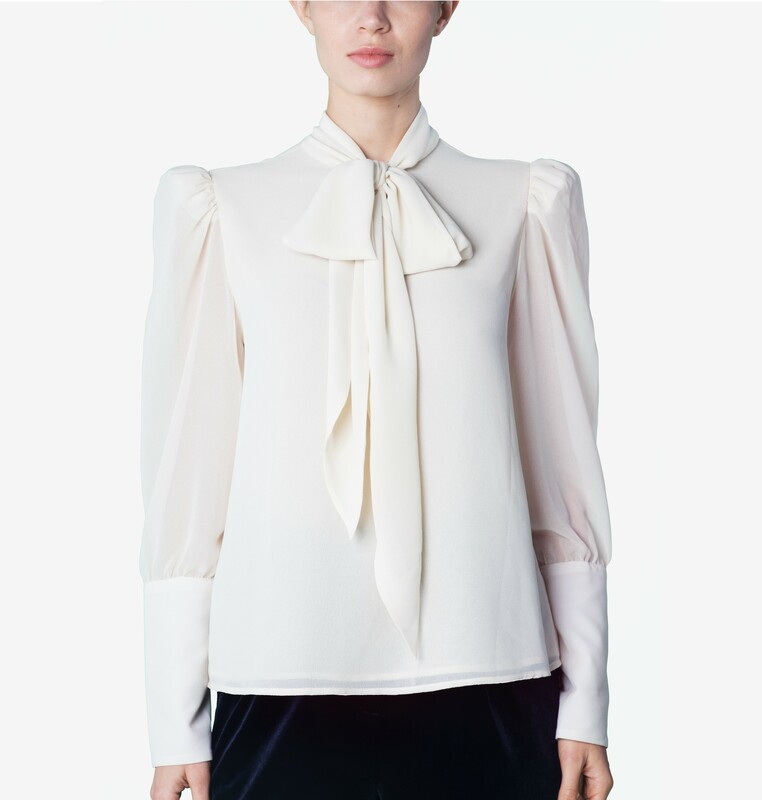 Party in puffed sleeves, all for $58.90. Yes, Christmas came early this year. 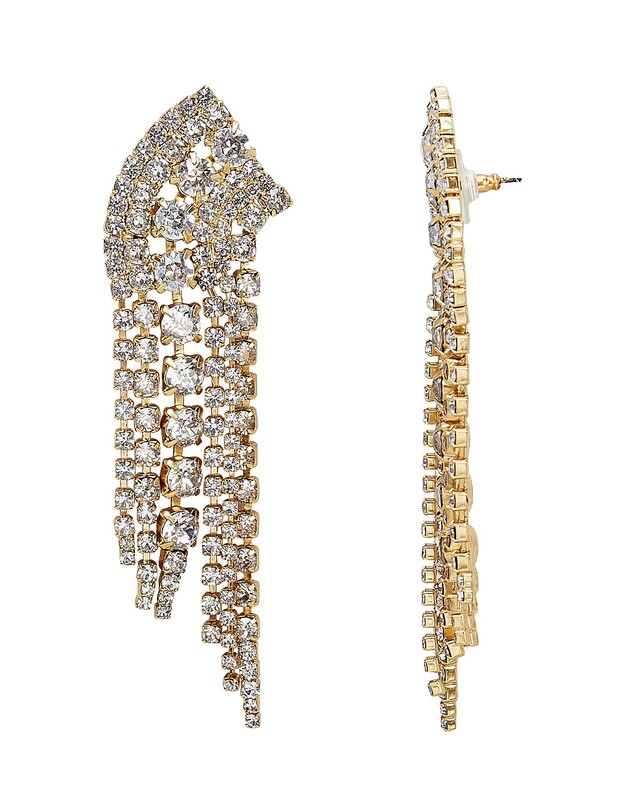 Pair back your look with a statement ear or oversized bracelets. 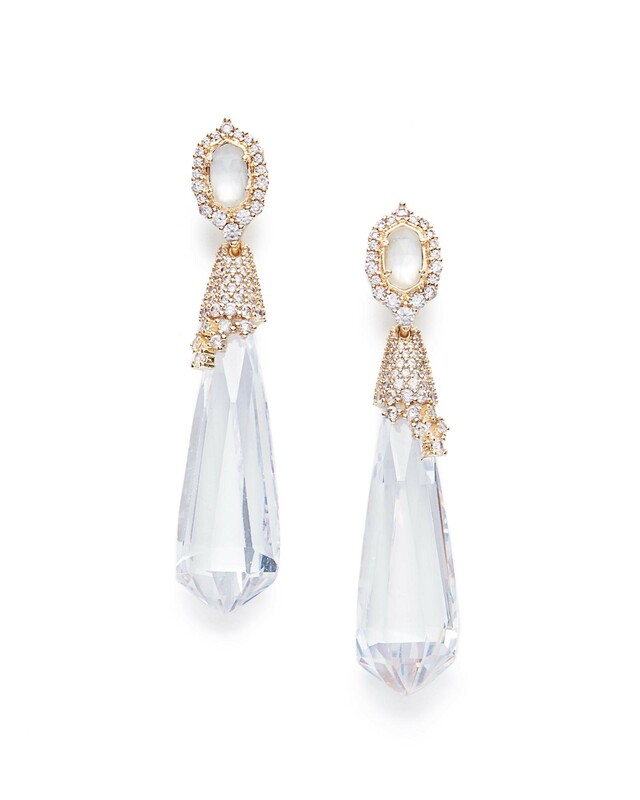 Brittany brought the BEST earrings options to our photoshoot – all under $50! The best accessory, though? That bow! Tie it up, let it cascade down, or loosely knot it at the chest. A great pair of high-waisted, cropped jeans with a pointed pump and you’re good to go. If jeans feel a too casual for your occasion, consider a velvet pant. We’re offering two styles this holiday: a pleated flare in navy + this super fun jogger available in teal + berry. Gucci, anyone?